For centuries the French have taken their bread seriously. 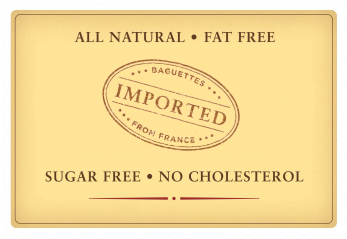 Only genuine baguettes like those from Le Petit Français meet the rigid quality standards set in the late 18th century by Napoleon himself, following the French Revolution. But don't take our word for it: Tasting is believing; so test out our real French baguettes for yourself. Order online today and you can bake and enjoy real 100% French bread in your home, on your schedule. Le Petit Français is poised to begin a second French Revolution in the United States. Established in 1887 and produced in the venerable tradition of Boulangerie France Pain (a division of Boulangerie de Neuhauser) in the wheat and mountain springs region of Alsace Lorraine. 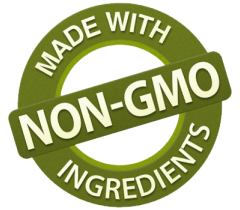 Our ingredients and processes have remained virtually unchanged for more than a century. The result: superb bread with the genuine taste, texture and freshness of a true French baguette. 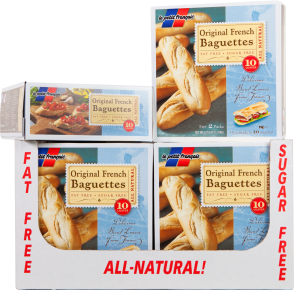 Le Petit Francais Baguettes are Made with French Flour, Non-GMO and Less Gluten!